For the first time in over 20 years, there is not an ambulance being housed at our central fire station. The 2nd Bay in our central station was occupied by Good Shepherd EMS and later by Champion EMS for nearly two decades, Countless EMT's and Paramedics also stayed in our 2nd story living quarters and helped maintain the station and respond to calls. But tonight will be the first time in over 20 years that there is not an Ambulance or EMS Crew at our central fire station. Where are they? 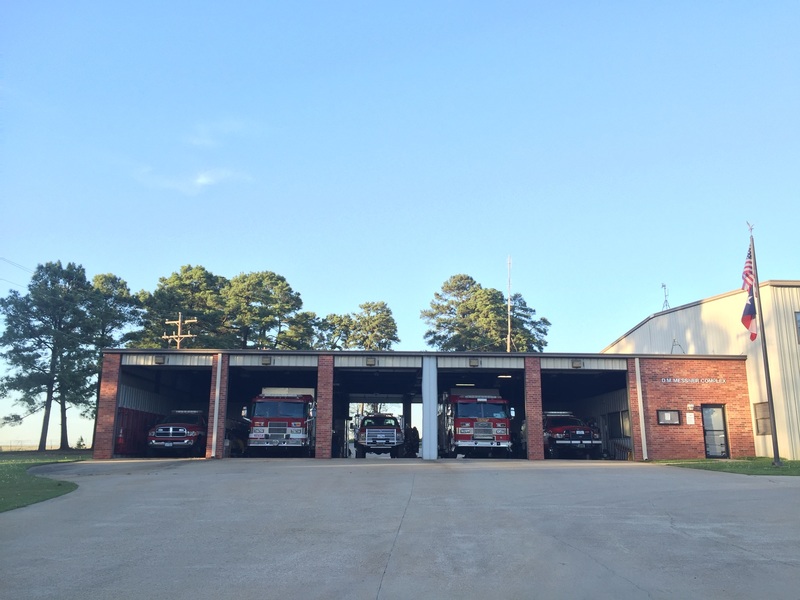 Champion EMS has built a brand new EMS Station in cooperation with Lake Cherokee Water Company on one of the Lake Cherokee entrances just off of SH 149. The Lake Cherokee Station will still continue to respond to calls in Lake Cherokee, Lakeport, Elderville, Chalk Hill and Tatum areas just as before. And Just as before, when they respond to an Emergency, champion will continue to send another ambulance to stand by in case of other emergenices. Will there be any delay in response? With the change of locations, some residents could expect to see an ambulance slightly sooner and some not. But on serious medical calls, Champion EMS will continue to contact Elderville Volunteer Fire Department to First Respond and perform lifesaving interventions until EMS arrives. Early Thursday Morning, February 26, 2016 Elderville Lakeport VFD was disatched along with Kilgore Fire Department, Longview Fire Department and Sabine Fire Department to the report of a Residential Structure Fire on Big Road in Gregg County with occupants possibly trapped. Upon arrival, units found a home fully engulfed in flames. The firefighters from all departments spent hours on scene using water to extinguish the flames. At least one victim perished in the fire and another was severely burned. No firefighting personnel reported any injuries. On Tuesday Feb 23rd, 2016 Elderville Lakeport VFD units responded to the report of a vehicle crash on SH 149 near Pegues Rd. Occupants required extrication from their mangled vehicles which required our member to utilize our TNT Rescue Tools on both vehciles.